After emerging as one of the biggest exporter of bicycles to some of the high-end markets of Europe from South East Asia, Meghna Group has added another feather to its cap by setting up a technical venture in Sri Lanka. “We are providing technical support to the new bicycle venture in Sri Lanka titled BSH Ventures Ltd. The venture does not involve any kind of investment from our side as it is purely a technical collaboration,” said Mr Md. Mizanur Rahman, Chairman, Meghna Group in an exclusive interview to Bike Europe. The venture was officially inaugurated mid January in Colombo, Sri Lanka’d capital. The venture was set up with an initial investment of US$ 1 million solely by the Sri Lankan partner. BSH Venture has the capacity to manufacture 300,000 units annually. “Initially, the bikes would be assembled at the Sri Lankan plant with components supplied by the Meghna Group from its Bangladesh facility. We are supplying components such as forks, handlebars, rims, saddles, pedals, seat post, tyres & tubes,” explains Rahman. The bicycles assembled would cater to the European market as well as the domestic Sri Lankan market. The Sri Lankan plant would gradually be upgraded to manufacture plastic parts such as pedals, handlebars, chaincovers, alloy rims and later saddles, to make it eligible for the Generalizes System of Preferences (GSP) regulations for exports to Europe. “We hope to commence production of these components by June 2012,” Rahman added. Meanwhile, Meghna has aggressively entered into the domestic market by setting up the bicycle production facility Mahin Cycles. The new facility commenced commercial production in November 2011. 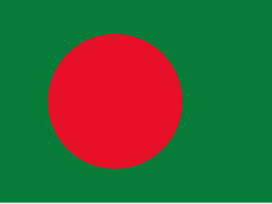 “This plant will cater to the 160 million people of Bangladesh. We have invested around US$10 million in the new plant,” informed Rahman. The plant would initially produce 200,000 units annually and later the production would be hiked to 300,000 units starting in 2013. “We have lot of scope to grow in the domestic market which is about 1 million units annually. There is hardly any local bicycle maker feeding the local market. The domestic market is fed with low-quality imported bicycles,” he stated. Interestingly, Meghna has already firmed up plans to set up another plant to cater the domestic market. The way the domestic market is growing, the bicycle major is already at the drawing board for another unit. “We would likely commence construction of the second unit for catering to the domestic market by the end of 2012. We are planning to make an investment of about US$15 million to set up a plant with production capacity of 500,000 units annually,” Rahman claimed. Meghna is also planning to hike the bicycle tyre/tube production to meet its growing demand. Currently, the plant produces 20,000 tyres and 15,000 tubes per day. Meanwhile it will soon launch the Raleigh brand of bicycles in the domestic market and will start license production of Raleigh for the domestic market at the new Mahin Bicycle plant. Currently, the company is supplying bicycles to Raleigh, UK. Meghna is also graduating to the next price bracket. 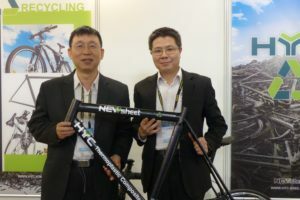 Currently, it is shipping bicycles in the price bracket of US$ 120 and now it would soon enter into average price bracket of in between US$ 150 – 200. “We have been working on the higher price bracket for some time and now the time has come when we will soon start getting into the over US$ 150 price range,” Rahman explains. The company manufactures a wide range of models – almost 200 models for Raleigh alone and altogether around 500 different models at its two export-oriented units Transworld and Uniglory Cycle Industries. Meghna set up Uniglory Cycle Industries Ltd in 2009 with an investment of US$ 5 million. It has an annual capacity of manufacturing 200,000 units annually. Meghna is upgrading its export facilities – Transworld and Uniglory to meet the highly demanding European market. “The European market is getting highly competitive and it has become mandatory for us to keep upgrading our plants to meet the quality standards of Europe,” said Rahman. Now, both the facilities manufacture alloy as well as steel bikes. Moreover, Meghna has achieved the highest level of localization: 85%-90% when it comes to entry-level bikes. “We have achieved 40%-45% localization in the high-end range. We cannot further hike the localization levels as people ask for some branded parts which we have to import,” Rahman said. The first export-oriented plant Transworld was set up in 2003 with an investment of US$ 3 million. The plant is manufacturing 150,000 units supplying bicycles to markets of UK, Germany, Denmark, Belgium, Greece, Holland, and Ireland. “Both Transworld and Uniglory have (the) same markets but different customers. Italy is the only difference as this market is catered only by Uniglory,” Rahman added. Next to its focus on private label exports, Meghna is also promoting its house brands in the international markets. The company holds BMX brands such as Feral and Rad; Mizani in the adult segment, and Mahin and Abrar in the kid segments. 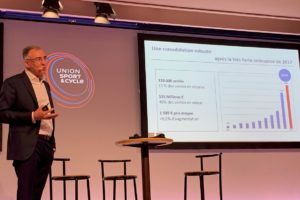 M&U Cycles Ltd, a plant that used to be part of the Meghna Group, but is now operating separately, is targeting Europe’s e-bike market. The company started making e-bikes since July 2011 and shipped about 1,000 units to Europe. 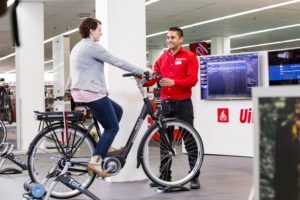 Plans for this year are targeted to manufacture 5,000 e-bikes for Raleigh (UK) and Transcon’s (Holland) brand name called RAP. 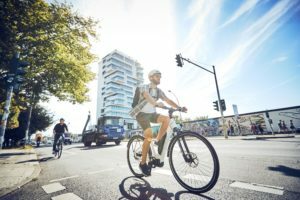 The M&U made e-bikes are in the US$ 800 price range. The Bangladesh based bicycle exporter intends to limit its production capacity to 200,000 units annually to maintain quality. “Our focus is on quality as we do not intend to manufacture millions of bicycles from our plant,” stressed Litton. The company is focused on producing bikes in the US$ 150 – 200 price branckets. 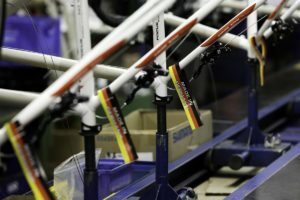 For meeting the demand in Europe for alloy framed bikes; M&U Cycles is investing US$ 3 million in setting up an alloy plant in an adjoining vacant plot, which it also owns. “The alloy extrusion would produce aluminium tubes and rim profile for bicycle industry,” explains Litton. The plant would be ready by August 2012 and it would cater to M&U’s own requirements, domestic, and export markets. Bangladesh-based bicycle manufacturers are turning towards the large domestic market, until now mostly catered to with bicycles imported from China & India. They have been overtly occupied in exporting to Europe on the strength of GSP advantages offered to them through being an ‘under-developed’ country. Now they are turning towards their own country, which has a large population and ready customers for their bicycles. Alita (BD) Ltd. is also planning to set up a second production facility in Bangladesh. Alita (BD) Ltd. is based at the Export Processing Zone (EPZ) of the port city of Chittagong where it has the capacity to manufacture about 200,000 bikes.